The Dennis J. 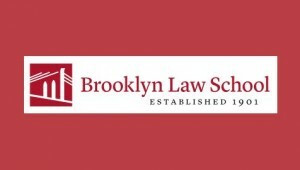 Block Center for the Study of International Business Law will sponsor a Scholars’ Roundtable on November 16-17, 2018 at Brooklyn Law School. Scholars writing in a diverse range of fields related to international business, economic, and financial law are invited to submit proposals to present works in progress for an intense day of discussion with other scholars in the field. Participants will be expected to read all papers in advance of the Roundtable and offer commentary on each of the presentations. Scholars selected for the Roundtable will receive a $500 stipend from Brooklyn Law School to defray the cost of attendance. – Applicants must hold a fulltime tenured, tenure-track, or visitor/fellowship position at a law school or university. Scholars from outside the U.S. are encouraged to apply. – Scholars who anticipate holding a faculty appointment in the 2019-2020 academic year are also welcome. – Applicants should submit a 2-5 – page proposal, abstract, or summary of the paper. All papers presented must be unpublished at the time of the Roundtable. Papers that have been accepted for publication but are not yet in print are welcome. APPLICATION PROCEDURE: Applicants should submit a proposal to Julian Arato (julian.arato@brooklaw.edu) and Robin Effron (robin.effron@brooklaw.edu) by July 2, 2018. Scholars selected to present at the Roundtable will be notified by August 6, 2018.